Dan E. White, 52, of Mt. Pleasant, IA, died unexpectedly in the Emergency Room at Henry County Health Center on Tuesday, May 8, 2018. Visitation will begin after 12 noon on Thursday, May 10, 2018, at Olson~Powell Memorial Chapel, where the family will greet friends from 4:00 to 7:00 p.m., that evening. Funeral services will be held at 1:30 p.m., on Friday, May 11, 2018, at First United Methodist Church. Burial will be in Pleasant Hill Cemetery. In lieu of flowers, the family requests that gifts of love and friendship be given to Mt. Pleasant Girls’ Softball League or Mt. Pleasant Athletic Boosters. On-line condolences may be directed to www.olsonpowell.com. Born September 1, 1965, in Mt. Pleasant, IA, Daniel Edmond was the son of Dennis Edmond and Carolyn Kay (Gibbs) White. He was a 1984 graduate of Mt. Pleasant Community High School and attended Southeastern Community College and then Black Hawk Community College. On June 6, 1987, Dan married Lori Lyn Reiling in Port Byron, IL. For seventeen years, Dan worked on the line at Blue Bird, and for the last sixteen years, he was employed at Hearth and Home Technologies as an assembly technician. Dan’s greatest enjoyment was watching and being involved with his daughters’ activities. He loved the outdoors and spent time playing golf, mushroom hunting, grilling, and any activity that happened outside. Dan was an Iowa State University fan, as well as being a Green Bay Packers and St. Louis Cardinals enthusiast. 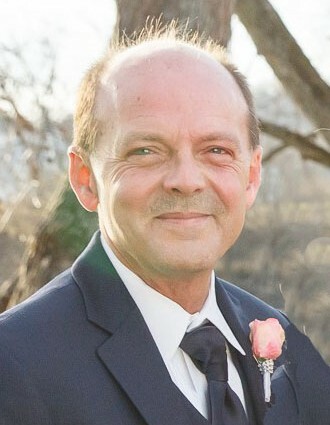 Along with his wife, Lori, Dan is survived by two daughters, Marissa (Dustin) Jordan of Wayland, IA and Mandi White of Dubuque, IA; his parents, Denny and Carolyn White of Mt. Pleasant, IA; and a brother Terry (Linda Sue) White of Louisville, KY. He was preceded by his grandparents.